The Masía Solidaria project is run in close collaboration between Masía 360 and the FCB Foundation. The aim is for the boys and girls on the Masía 360 programme to acquire social sensitivity through real-life experiences, and at the same time for these experiences to generate an emotional benefit for the users of the organisations with which they interact. Six charity causes have been chosen (one per age group), and various entities with which the club's athletes will be involved in joint activities. The activities run from November to March, the idea being for the athletes at the Masía to eventually partake in all of the different experiences as they get older. 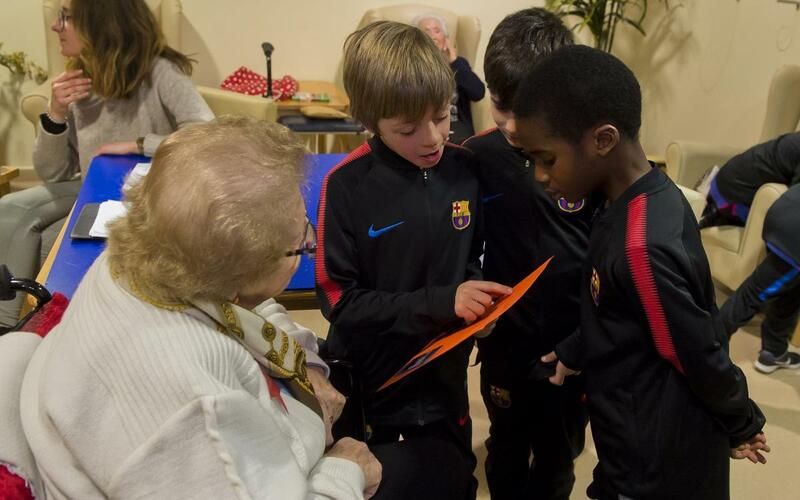 The programme also strengthens relations with the Baix Llobregat region, home to the Ciutat Esportiva Joan Gamper training facility and the future Johan Cruyff Stadium, since many of the institutions with which the club works are based there.